Mattie Nordstrom stands outside her apartment complex. At age 70, Mattie Nordstrom was still working full-time, as an in-home caregiver. But when her client suddenly died, Mattie found herself unable to make ends meet. With nowhere else to go, she stayed in three different emergency shelters and camped out in store parking lots. Finally, Mattie found the Tri-Country Opportunities Council (TCOC). Mattie’s TCOC Outreach Worker was able to connect her with subsidized apartment in just a week after meeting her at a PADS shelter. 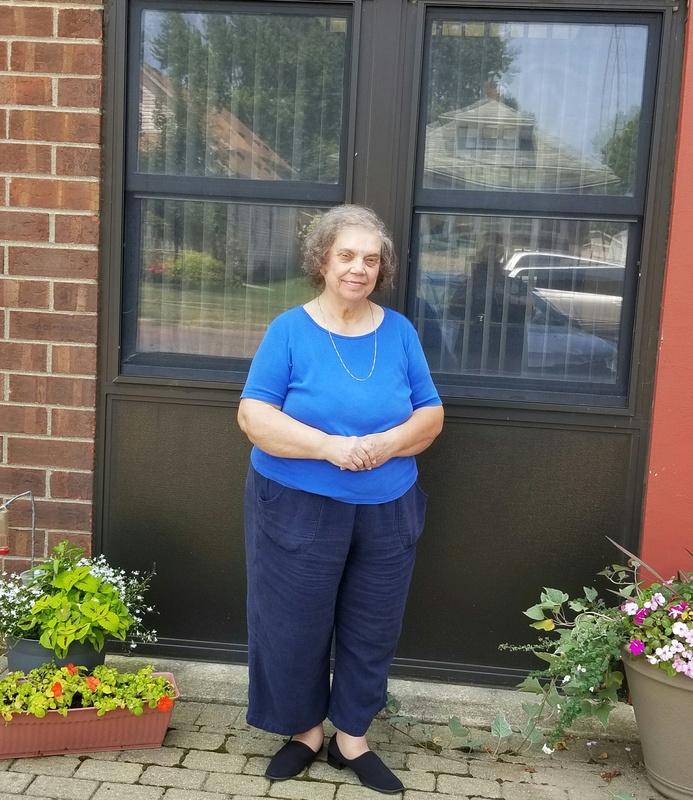 Through the agency’s federal and state funded Homeless Programs, Mattie received assistance with her security deposit and first month’s rental payment. She joined the organization’s money management workshops and now not only pays all of her monthly expenses on time but has been able to open a savings account. 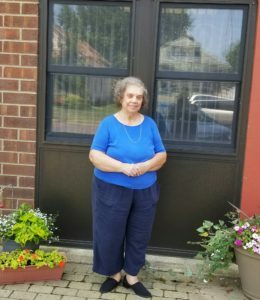 TCOC has been helping clients like Mattie since 1965, when the organization, part of a national network of Community Action Agencies, was established with the goal of eliminating poverty in the counties of Lee, Ogle, and Whiteside, Illinois. Its service area has since tripled in size geographically, adding Bureau, Carroll, LaSalle, Marshall, Putnam, and Stark to the list, all while vastly expanding its efforts to help these communities thrive. “You never do the same thing every day,” said TCOC’s President and CEO, Terri Lawrence. Terri has been with TCOC for the past 39 years and witnessed the growth of their diverse selection of supportive programming, ranging in focus from child and family development to rental housing and homelessness assistance. Federal and state funding are critical to the success of the agency. 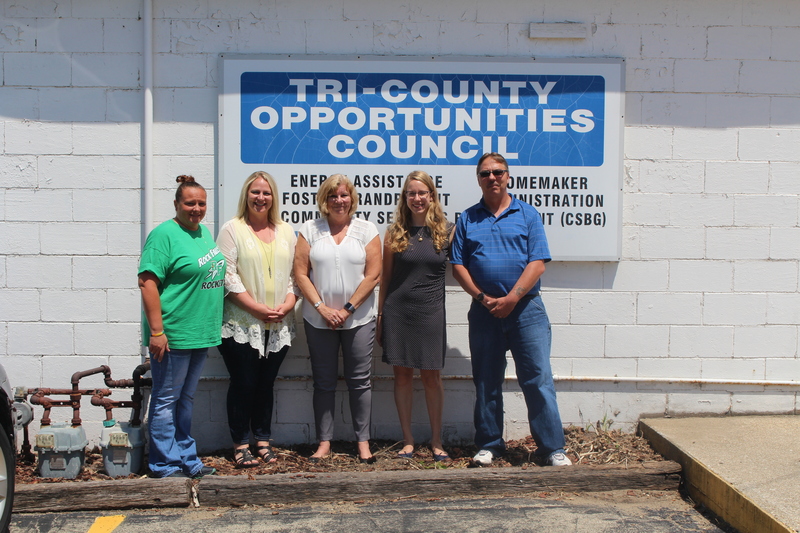 Advocating to preserve and expand this funding is one of the main ways that Housing Action Illinois supports TCOC’s mission. TCOC’s programs also connect members of the community with one another. 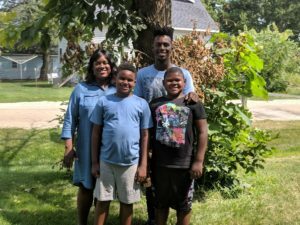 After Mattie settled into a healthy routine and was paying all her bills on time, she began working one-on-one with children, assisting them with academic and social skills and other special needs as part of TCOC’s Foster Grandparent Program. Participants of this program receive a monthly tax-free stipend, but for people like Mattie, who have no family to fall back on, the experience brings with it immeasurable joy and satisfaction. Neddie Watts, TCOC’s Community Services Director, finds her motivation to keep serving the community in stories like Mattie’s. Neddie helps manage programs made possible by the federal Community Services Block Grant. These services, aimed at revitalizing low-income communities, include adult literacy, health assistance, and employment support programs among others. TCOC’s Head Start program provides educational and health services to 530 children annually. These children’s families meet the Federal Government’s poverty criteria. “I see people from Head Start in the community all the time. When I’m just in line at the grocery store, I run into parents,” said Terri, citing these types of interactions as what keeps her motivated at work. Kristin Ginger, HAI’s Communications Manager, poses with TCOC staff during our 2018 Caravan visit. Although these programs have made a huge difference in the community, TCOC has also faced setbacks, especially in recent years. The Illinois budget impasse was a major problem for the agency. “It bankrupted us. We had to stop working,” explained Terri during our visit to their central office in Rock Falls for our 2018 Caravan. “That budget impasse really took a toll on our relationship with contractors,” added Wayne Thompson, the Weatherization and Housing Program Director. Ideally, public funding would be available to expand the resources TCOC provides to the community. For example, the organization owns six family-homes and six apartment-buildings, which together provide 22 units of affordable rental housing at below market rates. But this crucially important resource still doesn’t come close to addressing the shortage of affordable housing in TCOC’s service area. Shawna Jones gathers alongside her three sons in the front yard of the TCOC-owned apartment she currently rents. TCOC’s importance is clear as staff members begin to share countless stories of the clients that the agency has helped. In addition to Mattie, these include Shawna Jones, a single mother of four who escaped an abusive relationship in New York and is now on the path to becoming a first-time homeowner after going through a transitional housing program, and Larry Gilbert, who was accepted into TCOC’s Permanent Supportive Housing Program and now has a good place to call home after experiencing homelessness for most of his life. 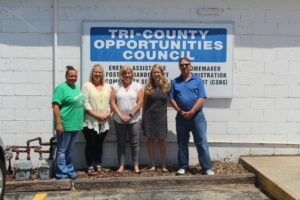 Despite the challenges, TCOC is not only here to stay, but here to grow, to support, and to connect community members with vital resources and to each other.